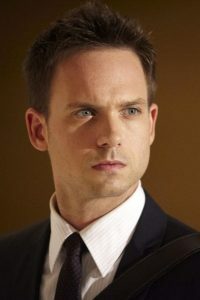 Canadian actor Patrick J. Adams got his start in the early 2000s. His first movie was in Old School while his first TV appearance was in Jack & Bobby. He later appeared in the TV movie Christmas in Boston. 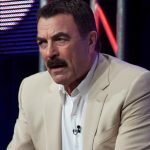 He next appeared in two episodes of the shows Commander in Chief and Friday Night Lights. He went on to appear in the movies Weather Girl and Rage. He also guest-starred in various TV shows, including NCIS, Ghost Whisperer, Lie to Me, and Pretty Little Liars. 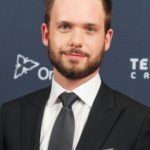 In the 2010s, he rose to mainstream recognition for landing the role of Mike Ross in the series Suits. He was part of the show’s main cast from 2011 to 2018. Simultaneously, he also made notable guest roles in the TV shows Luck, Legends of Tomorrow, and Orphan Black. In addition, he appeared in the miniseries Rosemary’s Baby. On the big screen, he starred in the 2017 movie Car Dogs. He also recently wrote and directed the short film We Are Here. 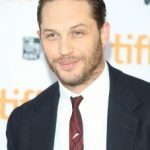 His physical training, of course, has something to do with his amazing physique, which he displays on all his roles on the screen. Whenever he has free time though, he makes it a point to follow his workout routine at the gym. Nevertheless, he makes sure he’s active by being on the go. During long breaks, the Suits actor also loves doing outdoor activities like running, hiking, and swimming.